Great location on the NE corner of Florida Blvd. and North Sherwood Forest known as The Corner Square Shopping Center which currently contains a 72,800 square foot shopping center with a former Albertsons Food Store (52,000 s.f. vacant) and an attached 20,800 strip center with month to month retail tenants. Given the need for future retail use of this type the highest and best use would be to remove all of the existing buildings and redevelop the site as a multi-family, high density zero lot line single family or townhome gated community. Other uses might include retirement or other related developments. No value has been given to the existing center and only as a vacant land parcel for redevelopment with a new use. 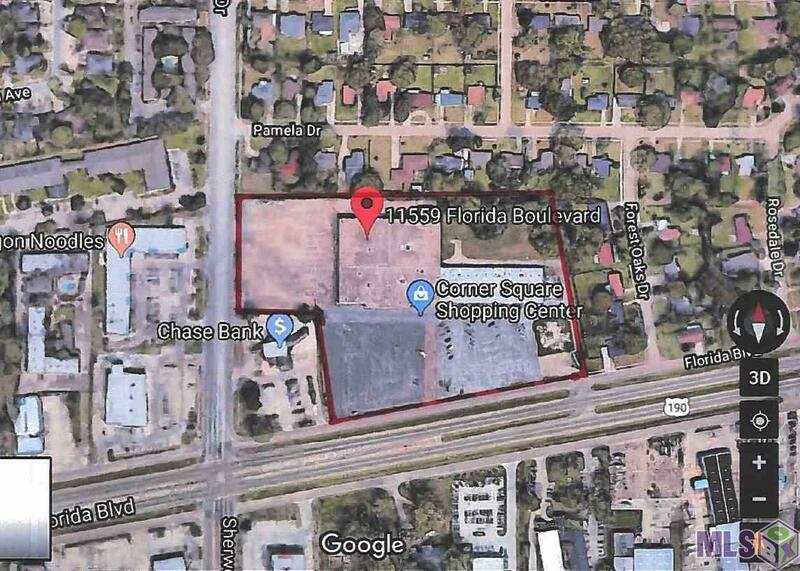 This property offers 678.44 Feet of frontage on Florida Blvd. and 229.8 Feet of frontage on North Sherwood Forest. There is a Chase Bank on the Corner of this property which is not included in a Sale. SELLERS ARE MOTIVATED!